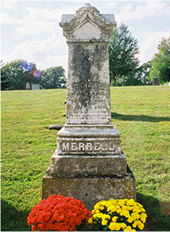 Merrell was born on October 28, 1880, in Leavenworth, Kansas,the first child born to John and Julia. 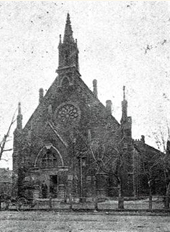 His father, John, whose ancestors were Dutch, was a successful businessman and served earnestly in the church. His mother, Julia, was a Sunday school teacher. As a girl, Julia dreamed of going abroad as a missionary. She continued praying that if she had a son she would raise him to dedicate himself to foreign missions and so fulfill her vision. With his devoted parents, Merrell started to attend church at the age of four. At this time he started to show his music ability through playing the piano and composing music. Later he wrote both word and music of hymn in 1908 and 1910 which was enjoyed singing for a long time in Church of Japan. 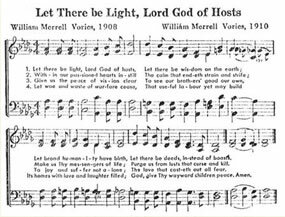 The word was also known in U.S.A. hymn. The Vories family moves to Flagstaff, Arizona, because of Merrell’s health. 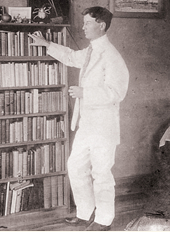 When Merrell was seven years old, the family moved to Flagstaff, Arizona, as he was sickly and had been diagnosed with tuberculosis. When they visited the Grand Canyon, he was so impressed by the sight and all Creation. The beauty of nature impressed him so much that his appreciation of nature was refined. Living in this wonderful surroundings and climate, Merrell expanded his knowledge of history, humanity, geology. 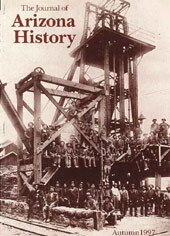 You can find the article of the story on Vories family in the journal of Arizona History Autumn 1997 issued. Living in the American West impressed young Merrell with the “frontier spirit,” the indomitable drive to build something new and better in a new land. 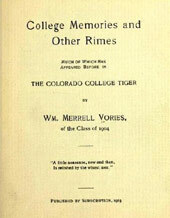 Merrell enrolls at Colorado College, in Colorado Springs. He planned to move to MIT to study to be an architect. 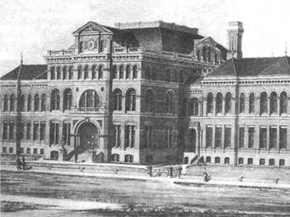 He also showed a keen interest in the YMCA movement in his college and he became the treasurer of the Colorado College YMCA. During his student days, he made good friends and he developed his lifelong desire to practice his Christian faith in daily life. The YMCA building in Omi Hachiman was built in memory of his close friend, Herbert C. Andrews. Merrell listened as Mrs. Howard Taylor, who was a missionary to China, testified about the persecution and martyrdom of Christians there. He felt that her face was transformed to that of Christ questioning him, "What are you going to do?" Moved by Mrs. Taylor's testimony, he changed his mind about pursuing his career as an architect and instead dedicated his life to foreign missions in remote areas. 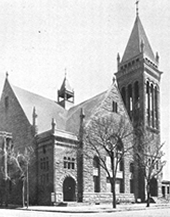 After graduating from college in 1904, Merrell worked at the YMCA in Colorado Springs waiting for an overseas ministry assignment from the SVM in New York. Before long, his application was accepted and he was sent to Shiga Prefectural Commercial School, which had requested a native English-speaking teacher. He left San Francisco for Yokohama, Japan by steamer on January 10, 1905. I believe God sent me here, so I will never move until He makes me move. The new American teacher became very popular with his students. As soon as he arrived in Omi Hachiman, he met a Japanese Christian and together they started Bible classes after school at the house provided for the English teacher. 40 to 100 students gathered together at each class. Former Hachiman YMCA designed and built by Mr. Vories Feb. 10,1907. Financed by his savings and donations from his friends in America.